Anyone who visits the United Kingdom will find themselves unable to resist the many sites of rich historical interest, all of which have been, in some way, shaped over the course of centuries by the monarchy. To this day, the royal family lives in magnificent palaces built many centuries ago as opulent residences for great monarchs; here you'll find descriptions of our five favourite regal sites, spread across the whole of the United Kingdom. If you're looking for destinations in London, don't miss our Royal Tour through London report, and make sure to check out our royally inspired deals on hotels! Windsor Castle, the origins of which date back to the reign of William the Conqueror, is located approximately one hour away from London. It is the largest castle in the world to have remained continuously inhabited. For centuries, Windsor Castle served as a weekend residence for the monarchy, and for many years it was where Queen Elizabeth II spent Easter. Since her 80th birthday, the Queen of England has in fact chosen to live permanently in Windsor Castle, travelling to Buckingham Palace for just three days a week for work purposes. Naturally, a regal English heritage such as Windsor Castle is used for more than just private purposes. Not only does it house a museum which is open to the public, but it is also used for state occasions. On 19 May 2018, the wedding bells of St. George's Chapel on the castle grounds are set to ring once again for the marriage of Prince Harry and Meghan Markle. 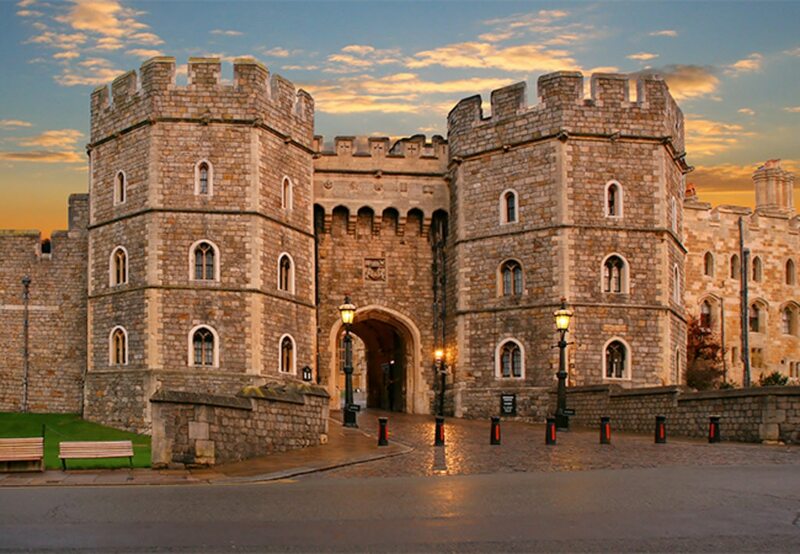 Tip:Admission tickets to Windsor Castle can be upgraded to an annual pass at no extra cost. To benefit from this offer, you must have your ticket stamped before you leave the castle grounds. Statistically speaking, Wales is home to more castles per inhabitant than any other country in the world. So it's hardly surprising that one of these castles dates back to 1081, to the reign of William the Conqueror. However, Cardiff Castle was certainly not stamped out of the ground at this time - excavations have shown that a first fort was built on the site during the Roman era. This fort was then used by the Normans, and later improved and extended by royal families such as the Tudors and the Windsors. During the Victorian era, it served as a sumptuous meeting place for eccentrics. With its prominent blend of culture and history from numerous periods and styles, Cardiff Castle remains to this day one of the greatest tourist attractions in Wales. Tip: Free maps and audio guides are available in the castle. These enable you to explore the site at your leisure. 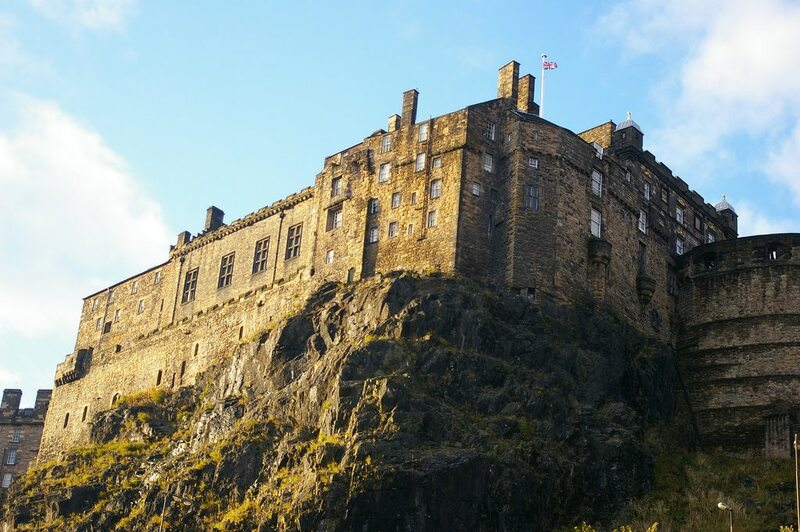 Edinburgh Castle stands on Castle Rock, an extinct volcano, in the centre of Edinburgh. This impressive rock probably spilled out of the earth's core some 340 million years ago as liquid magma. On three sides, the rock is nearly perpendicular; the fourth side, however, provides easy access on foot. Thanks to its favourable geology, this has always been the perfect place to build a fortress. In fact, archaeological excavations have revealed evidence of an early settlement dating from the 9th century BC. Edinburgh Castle has been home to numerous important monarchs including Mary Queen of Scots. Her son, King James, was born in Edinburgh Castle. Today, visitors to the castle can admire the Scottish crown jewels, the legendary coronation throne and enchanting views over the city. Tip: Every day (except Sundays) the historic one o'clock gun is fired at 1pm. Sandringham House is a country estate located close to the village of Sandringham in the county of Norfolk. This is the place to which the royal family regularly retires to celebrate Christmas. The estate, spread over some 8,000 hectares of land, is private property of the royal family. Together, the buildings and the land are known as Sandringham Estate. York Cottage and Anmer Hall also belong to the estate. Anmer Hall is currently the main residence of Prince William and Duchess Kate. Sandringham House and gardens are open to the public most of the year. 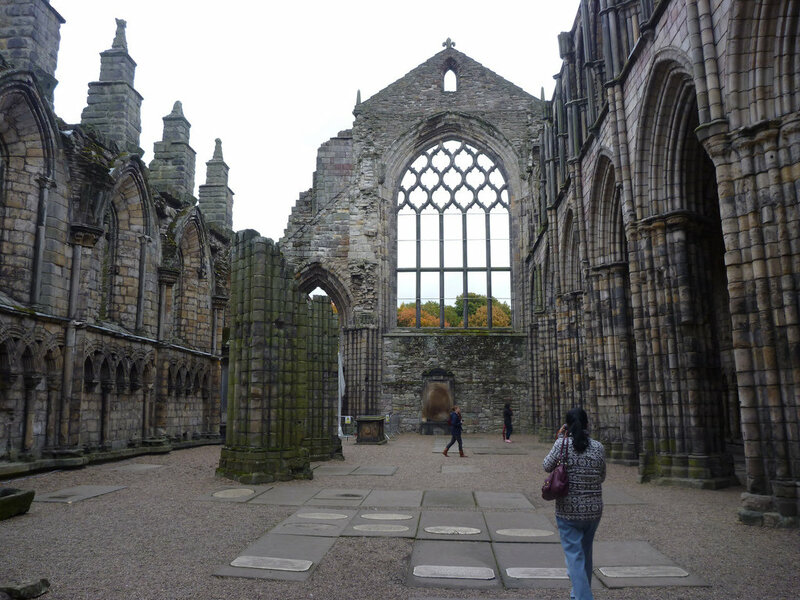 Holyrood Palace in Edinburgh has been the official Scottish residence of the royal family since the 16th century. It is located at the lower end of the Royal Mile, which leads up to Edinburgh Castle. Holyrood Palace was home to the legendary Mary Queen of Scots, who married Henry Stuart here in 1565. Although this impressive palace is open to the public, it continues to serve as a venue for official occasions and state receptions. Queen Elizabeth II still visits Holyrood Palace at least once a year during the "Holyrood Week". What royal places in the UK are your favourites? Make sure to check out 12 castles to stay in to feel like a royal, too!